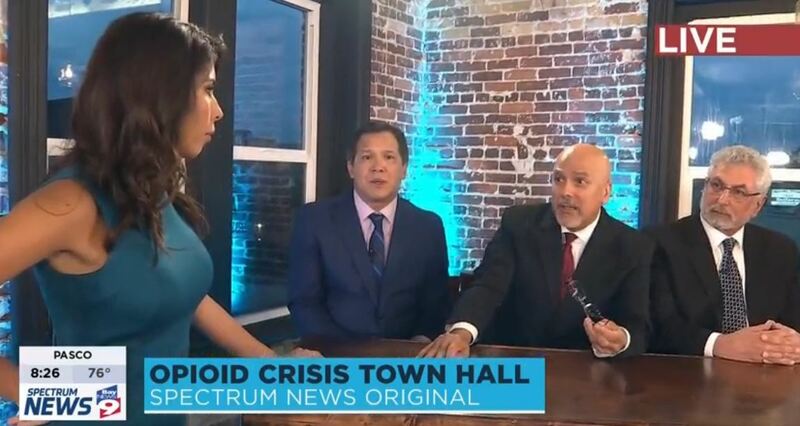 The scope of the opioid epidemic and new solutions took center stage at a live “Opioid Crisis Town Hall” special, sponsored by cable stations Spectrum Bay News 9 and Spectrum News 13 in Bradenton, Fla. on May 22. Physician Partners of America (PPOA) founder Rodolfo Gari, M.D., MBA, and Chief Medical Officer Abraham Rivera, M.D., were the only pain management physicians chosen to participate on the panel. It drew more than 700,000 viewers. Dr. Rivera explained how opioids have been used in one form or another for thousands of years, and people must not forget that they’re used because they work. “In the acute [pain] setting, they are phenomenal drugs. After that, the patient gets hooked on them. They’re extremely addictive,” he told the audience. Acute pain is discomfort lasting no more than 3 to 6 months, and it is usually related directly to soft tissue damage such as a sprain or surgery. Also on hand were an emergency room professor, local law enforcement leaders, an advocacy group representative, and State Rep. Jim Boyd (R-District 71). A live audience was invited to listen in and ask questions. The one-hour Opioid Crisis Town Hall was moderated by Bay News 9 anchor Veronica Cintron, and covered a wide range of topics related to new Florida opioid legislation. As of July 1, the law puts a three-day limit on most opioid prescriptions for acute pain. This does not apply to all patients, including those who live with certain chronic pain conditions. The new Florida law funds $65 million for the treatment of addiction and includes providing the overdose-reversal drug Naloxone to first responders. While not providing as much funding as the bill’s champions had hoped, stakeholders applaud the policy direction. Drs. Gari and Rivera addressed the need to stop opioid addiction from happening. 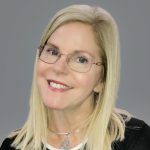 As interventional pain management specialists, Physician Partners of America providers get to the root of pain and treat it through various pain blocking procedures and minimally invasive techniques. Opioids are not the preferred course of treatment, but each patient’s condition is handled on a case-by-case basis. First-hand stories of addiction played a prominent role in the town hall and a preceding documentary. One Bradenton woman told an emotional story of how a car accident resulted in her addiction to opioids. Now drug-free, she described how she innocently got hooked after a doctor gave her a large supply of an opioid painkiller. Both Drs. Gari and Rivera acknowledged that one of the thornier problems faced by physicians in the opioid crisis is determining who is a legitimate pain patient and who is doctor-shopping or faking discomfort. Pain doctors report seeing more people who claim their meds were stolen to get a new prescription. “When a patient comes to me and they tell me their medication gets stolen, I treat that with a high degree of skepticism …I ask them for a police report,” Rivera said. In suspicious cases, he offers a three-day supply of painkillers, requires immediate and frequent follow-up urine tests, and asks such patients to show him their unused portion. Responding to questions about victim-blaming, the doctors explained PPOA’s drug-tapering protocol for new patients who are opioid-dependent.